Match of the Day 2 will be given a shake-up from the beginning of the 2013/14 season when Colin Murray hands over the presenting baton to 5 Live colleague Mark Chapman. ‘Chappers’ is regarded by BBC bosses as a more suitable host than Murray, who began anchoring the show in 2010 after Adrian Chiles left for ITV. The Northern Irishman often generates a tidal wave of negative opinion from football fans when the show airs on Sunday nights. Our new regular columnist Vernon Grant tells us why he thinks the BBC made the right decision in substituting Murray for Chapman, plus how he would solve the current widespread disgruntlement felt by fans with the current MOTD format. 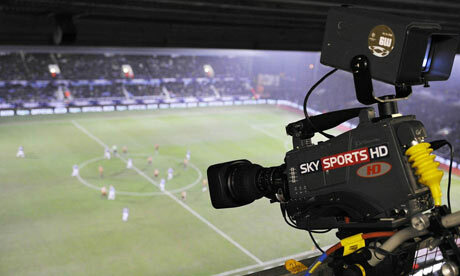 Does television possess an unhealthy and detrimental dominance over English football? Following Sir Alex Ferguson’s recent views on how TV companies manipulate the fixture list for the benefit of their schedules, James Morris assesses the impact on clubs and fans. In a brand new series for Sport On The Box, guest contributors will pass on their forthright opinions and eagle-eyed observations on the latest sports coverage. You are currently browsing the archives for the Sports View category.